The metamorphosis is almost complete! The new NL-1331X will be onsite at the Cassandra Prime XM Anomaly in San Diego, CA! Join Niantic's Ethan Lepouttre for a unique opportunity to have a sneak preview of the NL-1331X Mobile XM Detection Vehicle! 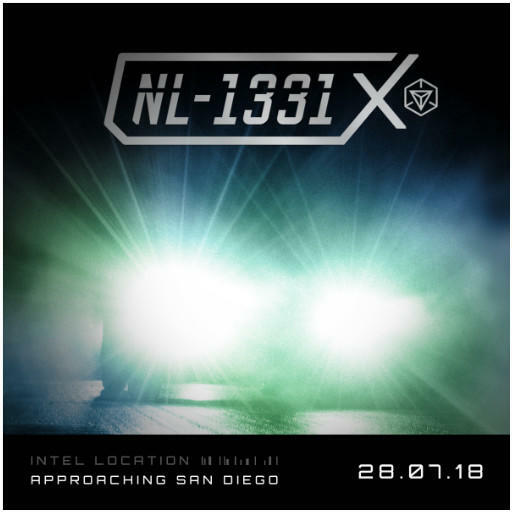 Agents, you are officially invited to join us at this rare NL-1331X pre-launch event. 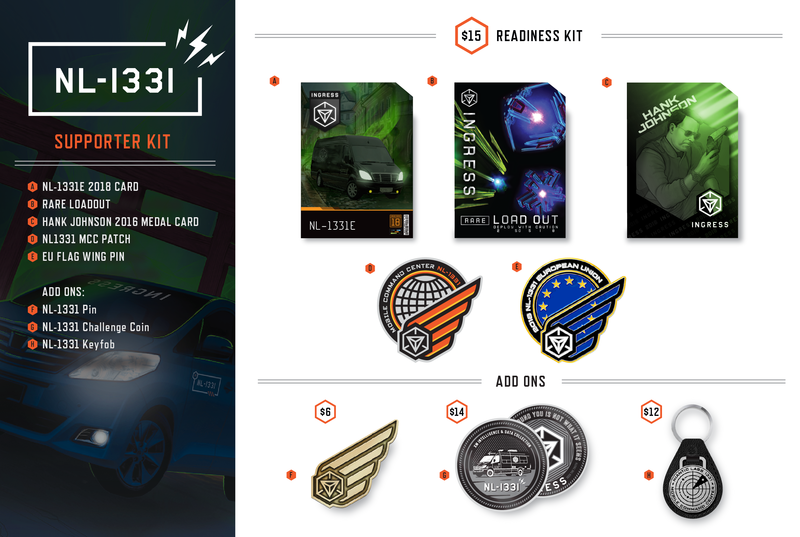 Official Niantic Ingress Gear will be available for pre-sale, and a limited amount of new Ingress store items may also be available for pre sale only. The event is free for anyone to attend. NL1331 EU kit and flag pin.